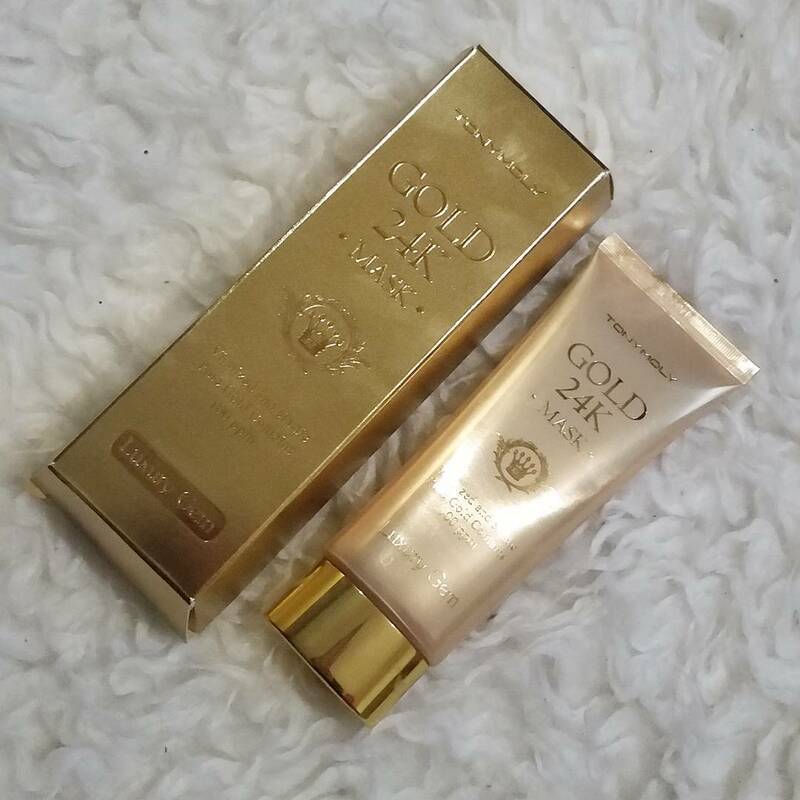 This is a sponsored post, which means I received these products for free to review them. The fact that I was gifted these products will not affect my opinion in any way! To know more about sponsoring, visit my PR page please! 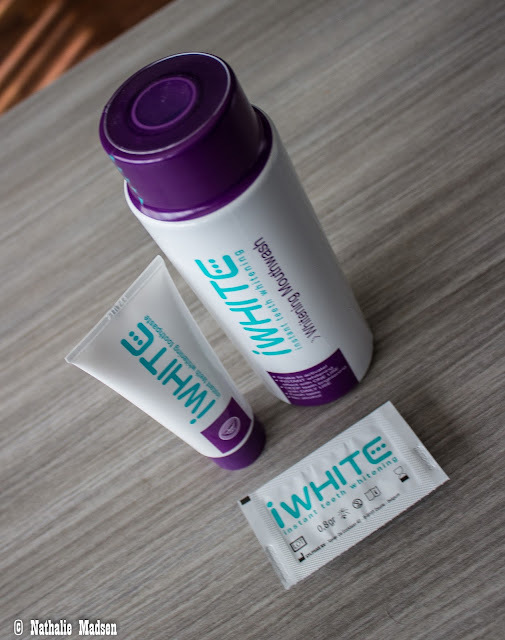 I received three products from iWhite Instant, a company that has been marketing an assortment of revolutionary whitening products since 2008. 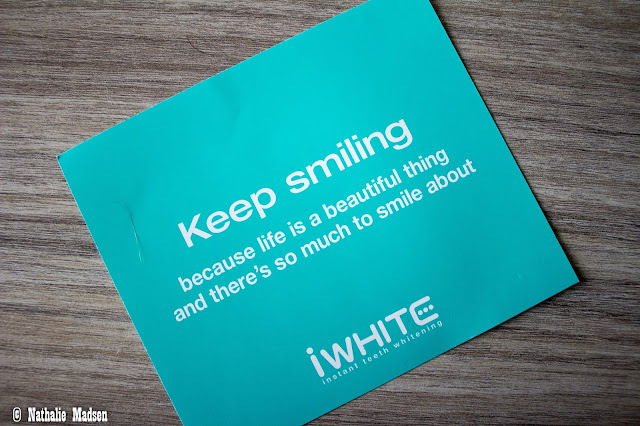 The purpose of iWhite's products is to make your teeth whiter and remove stains on your teeth. 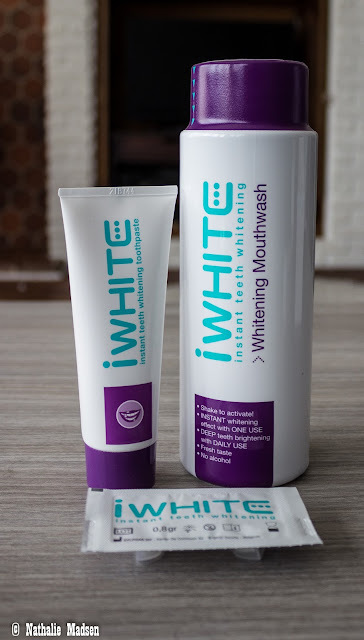 iWhite is already available in almost fifty countries and is manufactured by Sylphar, a Belgian manufacturer of medical aids and cosmetic products that started in 2008 as a spin-off from a publicly listed dental company. 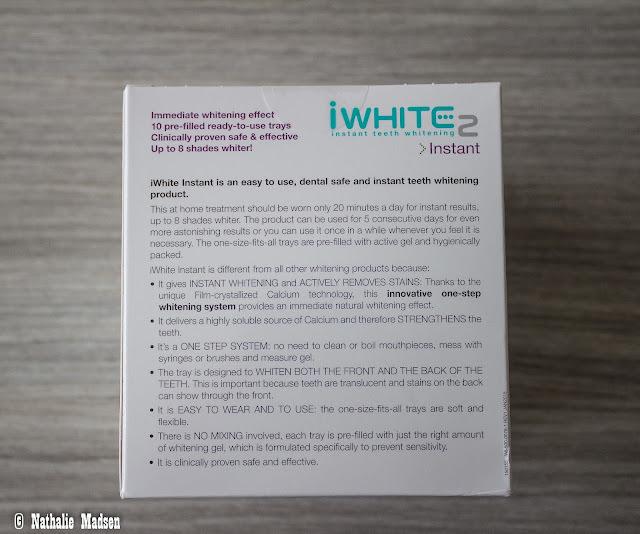 The products I received, are the iWhite Instant Whitening Toothpaste, the iWhite Instant 2 Whitening Trays and the iWhite Instant Whitening Mouthwash, 3 products that get you white teeth instantly. Sylphar invented a teeth whitening treatment which is without hydrogen peroxide but even more efficient, based on a unique FCC (Filmocrystallized Calcium)-technology.Small white bio-active crystals are used in combination with a strong film forming polymeric agent. Thanks to this innovative technology, the white bio-active crystals will be physically fixed on the tooth surface. The physical fixation of the white crystals leads to an optical whitening effect. 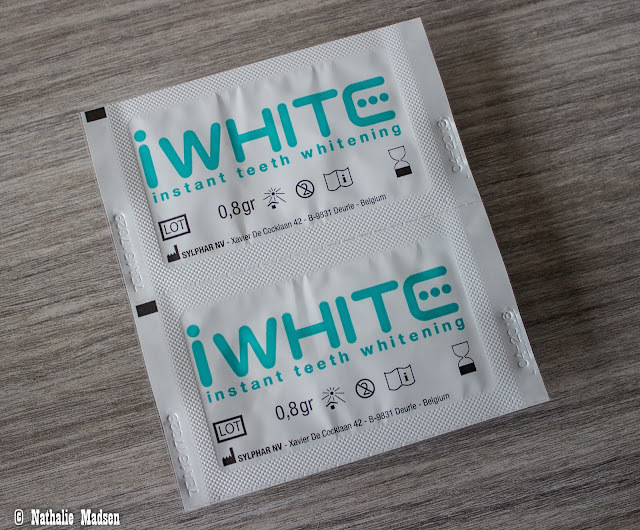 This FCC-technology is reinforced by an innovative teeth whitening novelty: P.A.P. which is a strong stain-removing molecule that breaks down discolorations on the teeth in little pieces without affecting the teeth structure. 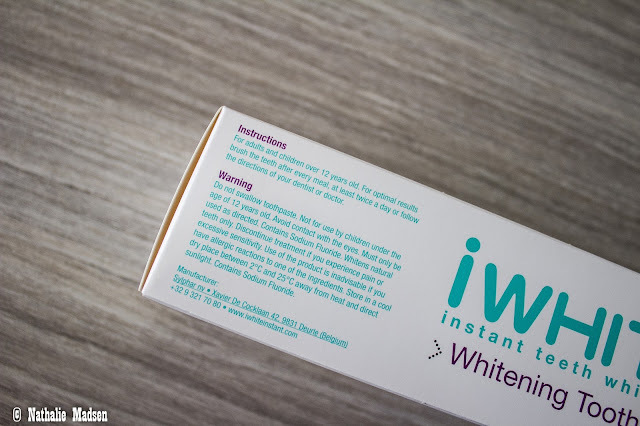 Clinical studies proved that iWhite Instant is 100% dental safe and gives you an immediate whitening effect after the first application. Some people had up to 8 shades improvement after one treatment. However, every person is different and results can vary per person. The toothpaste promises to be the perfect partner for everyday whitening and dental care. 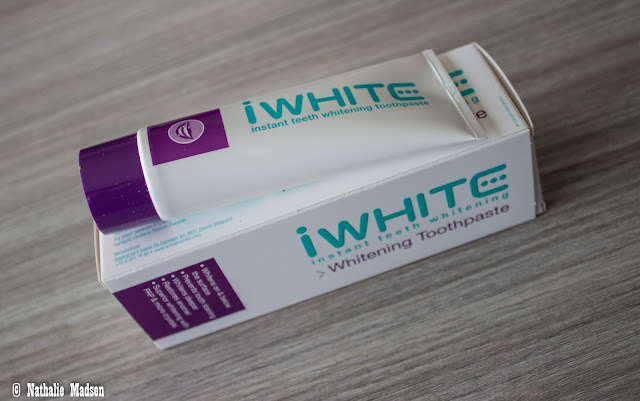 This toothpaste with triple action whitening restores the natural whiteness of your teeth and takes care of your teeth the whole year through. 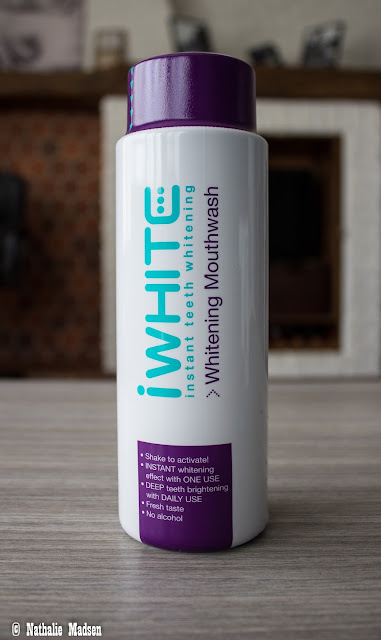 The active whitening formula inhibits tooth discoloration and fights plaque. 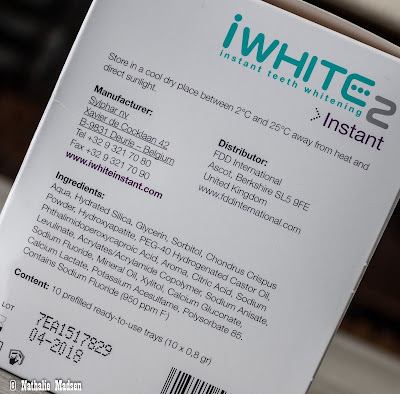 Further, iWhite Instant Toothpaste contains fluoride, which strengthens and remineralizes your teeth. The toothpaste contains Sorbitol, Aqua, Hydrated Silica, Cyclodextrin, Disodium Pyrophosphate, Tetrapotassium Pyrophosphate, Sodium Lauryl Sulfate, Citric Acid, Aroma, Cellulose Gum, Sodium Fluoride, Phthalimidoperoxycaproic Acid, Sodium Sacharin and Limomene. 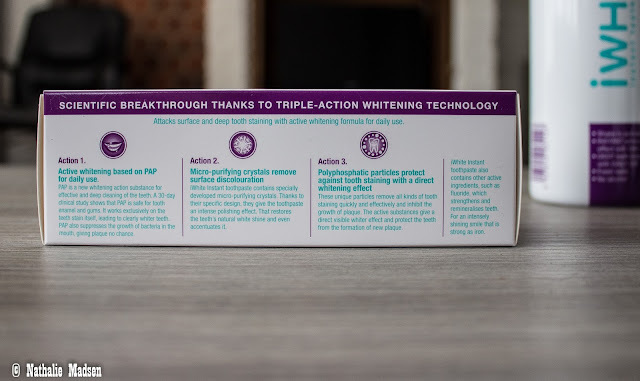 This is also mentioned on the package, along with the instructions, some safety information and a explanation of the triple action whitening technology. My teeth were feeling really smooth, polished, clean and fresh. After brushing, I used the Whitening trays. These trays are so easy to use! They already contain the right amount of gel so you just have to open the packages and slide them over your teeth. Leave them there for 20 minutes and rinse your mouth afterwards, to get rid of the last gel residu's. 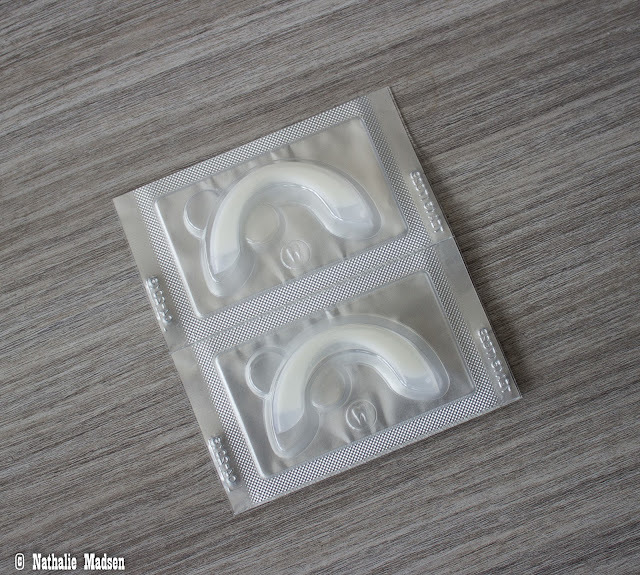 The whitening trays contains Aqua, Hydrated Silica, Glycerin, Sorbitol, Chondrus Crispus Powder, Hydroxyapapite, PEG-40 Hydrogenated Castor Oil, Phthalimidoperoxycaproic Acid, Aroma, Citric Acid, Sodium Levulinate, Acrylates / Acrylamide Copolymern Sodium Anisate, Sodium Floride, Mineral Oil, Xylitol, Calcium Gluconate, Calcium Lactate, Potassium Acesulfame and Polysorbate 85. The list of ingredients is also mentioned on the box and the box contains 10 prefilled, ready to use trays. I was looking so cute, wasn't I? ;) Lol! This picture was taken the first day. Just above the upper tray, you'll see some staining way up on my front teeth. After using the trays, my teeth were white, smooth and looking healthy. I felt like I could bite a piece of iron after using the trays! My teeth were feeling really strong. The last step is rinsing your mouth with the mouthwash. Aqua, Glycerin, Sodium Hexametaphosphate, PEG-40 Hydrogenated Castor Oil, Aroma, Diazolidinyl Urea, Sodium Benzoate, Phthalimidoperoxycaproic Acid, Potassuim Sorbate, Citric Acid, Xanthan Gum, Sodium Fluoride, Acesulfame Potassium, CI74160, Sodium Laureth Sulfate and O-Phenylphenol. 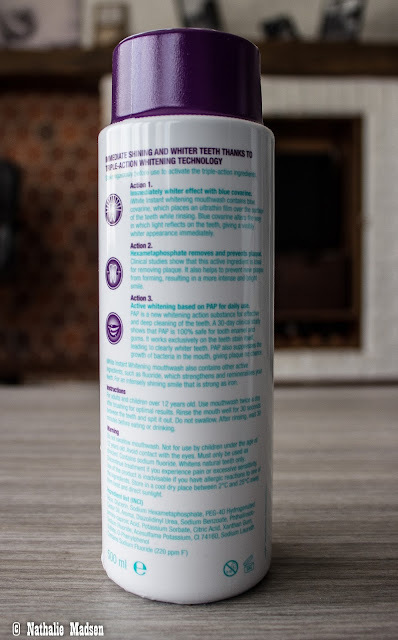 Like the two other products, the bottle also mentions a list of ingredients, together with some safety instructions and another explanation of the triple action whitening technology. The mouthwash also has a liquorishy taste and is easy to use. Rinse your mouth for 30 seconds, spit it out and rinse with water afterwards. The picture above was slightly edited (I slightly softened my skin and changed the colour of my eyes, to match my lipstick) but I didn't do anything regarding my teeth. The only thing I did, was using my whitening kit just before taking this picture. This picture was taken today, after 10 days of using the whitening products. Quite a before and after transformation if you ask me, looking at the picture where I'm barefaced, wearing the tray! ;) Haha! 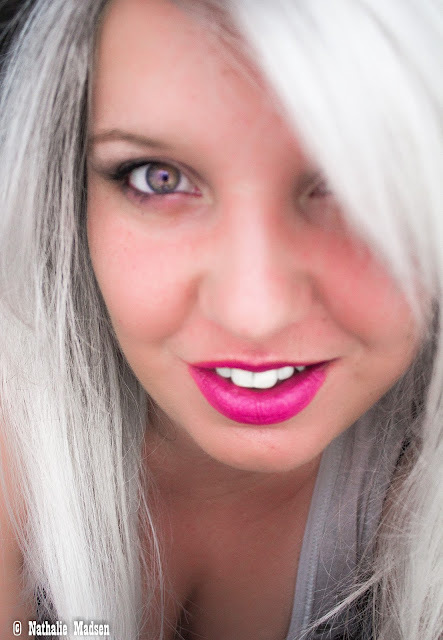 And no, I didn't dye my hair grey, it's a silver colored wig, to match my eye makeup! ;) I was in for a different look today! ;) Lol! If you compare the ingredients in the products, you will see multiple ingredients are used in all three of them. 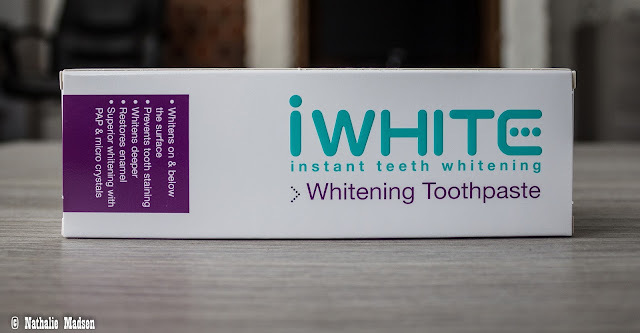 Those are, obviously, the things that do the whitening. Two of the products contains Castor Oil, a plantbase oil that has multiple ways to use it. Fluoride is a common ingredient in toothpastes and whitening products. The products don't contain hydrogen peroxide, so they're completely safe to use, even on sensitive teeth. Didi you know iWhite Instant was the winner of the Most Innovative product back in 2014? 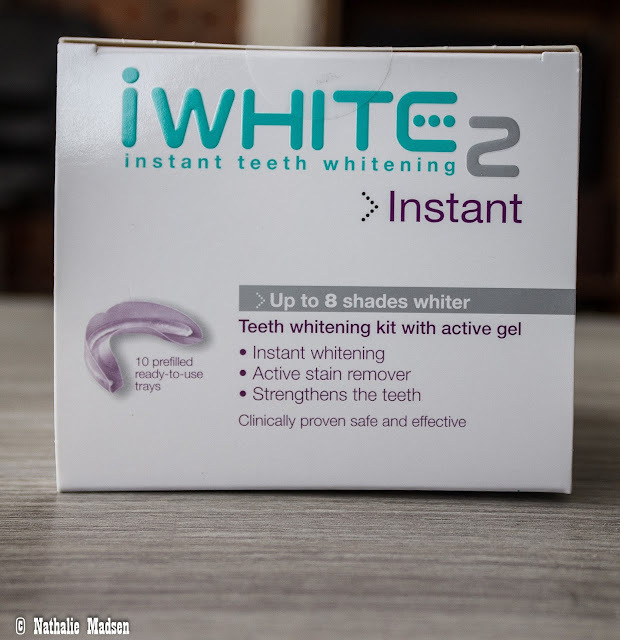 As for the prizes, if you buy the products separately, the iWhite Instant Whitening Toothpaste will cost you €9,50, the iWhite Instant 2 Whitening Trays are €34,94 for a box containing 10 trays and the iWhite Instant Whitening Mouthwash is €11,50 per bottle.